The reason I’m saying Apple iPad and Maxis WiFi Modem are the best travel mates is that you can charge the modem using Apple iPad’s charger! 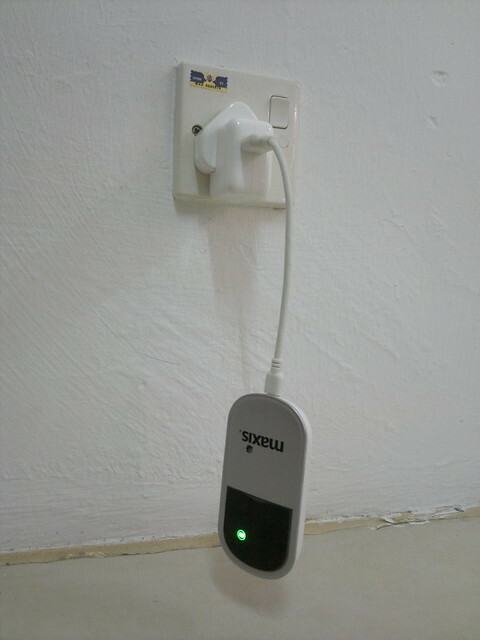 The output of the charger is 5v and 5v is what a USB device needs to be charged, so they work perfectly fine. Of course, I’ll only do this when I don’t have a PC or laptop with me. 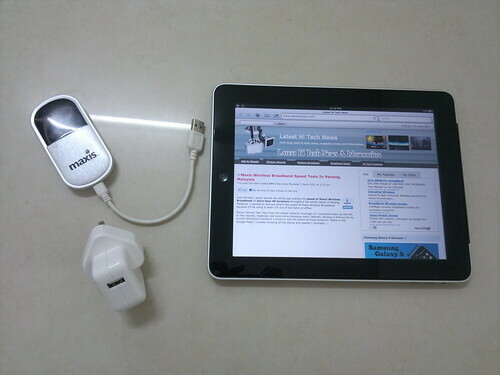 Charging the modem in the traditional way using the USB port of a PC or laptop is still recommended. 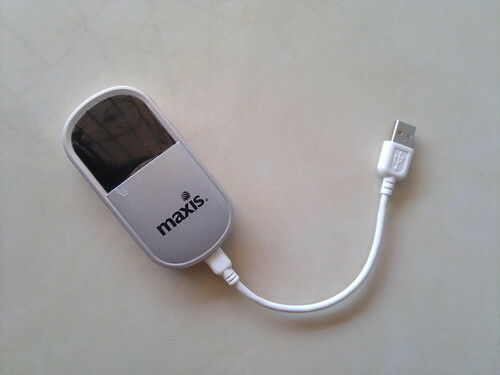 p/s: This entire post was composed, edited and published on Apple iPad and connected to Maxis WiFi Modem.